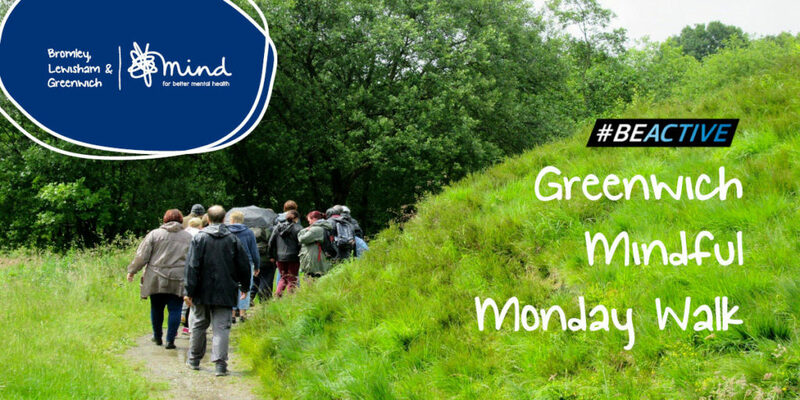 On Monday 24th September 2018, Bromley, Lewisham & Greenwich Mind will be joining forces with organisations across England and Wales to take part in ‘Mindful Monday’ walking groups as part of the European Week of Sport in partnership with ukactive. As well as promoting the benefits of physical activity for mental health, people will be invited to participate in a variety of mindful activities on the day, which will take place at Greenwich. Through this work, our Greenwich mental health services will be supporting people experiencing mental health problems, such as depression and bipolar disorder, to build their confidence to engage in physical activity, go to the gym, or take up a new sport. There is good evidence to suggest that, as well as improving physical health, regular exercise can boost mood, help beat stress and even reduce the risk of depression. “We all have physical health just as we have mental health and the two are closely related to one another,” said Sally Jones, Deputy Head of Services at Bromley, Lewisham & Greenwich Mind. The Greenwich Mindful Monday Walk will be led by a Walk Leader from the Healthy Walks Programme at Charlton Athletic Community Trust. People who want to show their support for Mindful Monday online can use the #BeActive hashtag. This walk is part of #BeActive European Week of Sport (in partnership with ukactive), and the Mind Get Set to Go campaign.